For Thee, Eveline: The Dearly Departed by Cindy Stelmackowich. Got any old hair around the house you don’t want anymore? Feeling creative? Well, have we got a treat for you. The Bytown Museum is staging an event on Saturday, Nov. 19 from noon to 4 p.m. called Hairy Workshop. It’s all part of a new exhibition that opened Oct. 18 that stars genuine Victorian-era wreaths, watch fobs, and jewellery made of human hair, some of it most likely clipped from the heads of corpses. It is even possible that some of these hairy creations may have originated from the heads of your very own ancestors. The providence of most of these artifacts is rather cloudy. The exhibition is titled Cindy Stelmackowich: Dearly Departed. Stelmackowich, an Ottawa artist, did a two-month residency at the Bytown last winter and was invited to create artworks inspired by artifacts in the museum’s collection. The result is a fascinating, albeit creepy, mixture of Stelmackowich’s contemporary art and genuine mourning artifacts from the 19th and early 20th centuries. If you like, you can also bring real hair from home. At least one person notified the museum before the show even opened that she had an old braid she planned to bring to the Hairy Workshop. Presumably, the braid was no longer attached to her head. The most devout follower of Victorian mourning rituals was Queen Victoria herself. Upon the death of Prince Albert, the monarch’s beloved husband, Her Majesty embarked upon a 40-year-long mourning period that only ended when she died in 1901. 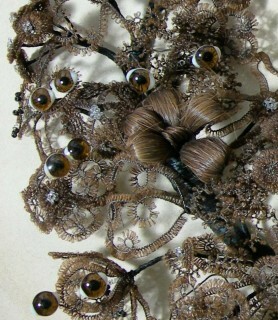 That meant 40 years of different sorts of mourning veils and other headgear usually worn by widows for only two years. Victoria was, to say the least, obsessed with mourning. During this same period, women with a creative bent were crafting wreathes, suitable for framing, from the hair of loved ones. Some smitten ladies would braid a watch fob from their own hair to give to their boyfriend or husband. The dead were remembered by lockets decorated with hair from the departed. You can see examples of such trinkets at the Bytown. Eye Wreath by Cindy Stelmackowich. Today, these objects seem rather ghoulish. In contemporary society, most people tend to cringe at the thought of even touching hair clipped from the heads of the living or the dead. But not Stelmackowich. This is right up her alley. She is best known for taking gory anatomical drawings from 19th century books and, with the help of Photoshop, turning them into collages of great and startling beauty, even when they send shivers down your spine. Stelmackowich has created a bedcrown, installing hair where long swoops of cloth would ordinary be employed. 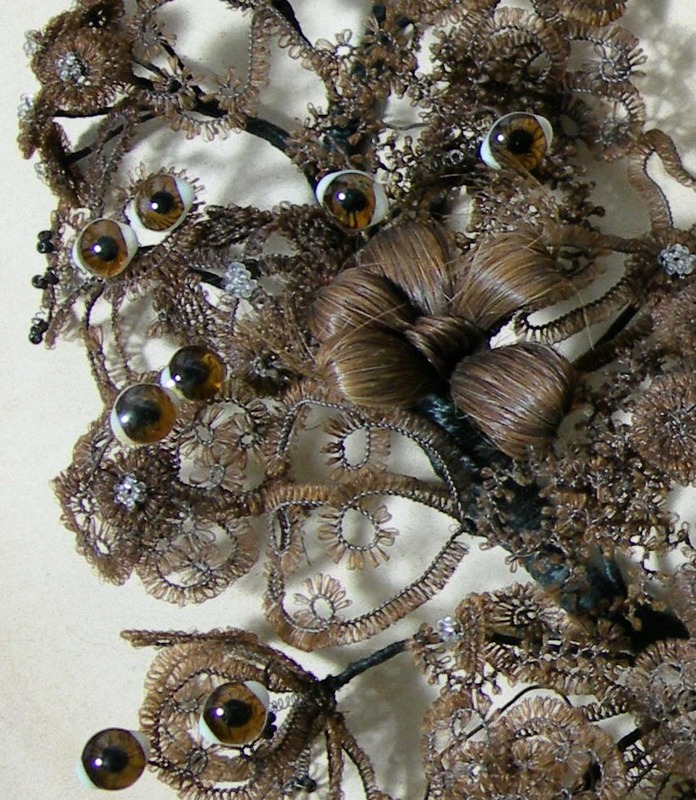 There is a genuine antique hair wreathe that now, thanks to Stelmackowich, sprouts a dozen artificial eyes staring right back at you. On and on it goes, with the contemporary works seamlessly sitting alongside the artifacts. 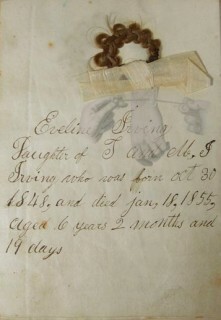 Dearly Departed is a brilliant way of educating visitors about the past by simultaneously marrying the past with the present. It is definitely the most unusual museum exhibition you will likely encounter this year in Ottawa. The Hairy Workshop takes place Saturday, Nov. 19, from noon to 4 p.m.